The name Cunningham, which according to some may signify “courage in battle,” could have come from “Cunedda” who was a king of the “Gododdin,” a Celtic branch of Britons known by the Romans as the “Votadini.” When the Dalriada Scots emigrated from Ireland in about 500AD, they were confronted by the Strathclyde Britons, the Gododdin Britons and the Picts. The name Cunedda eventually led to the names and words Cyning, Kynge and finally King. The “ham” signifies “hamlet” or small town and was probably added in Norman times. Still others claim that in the Celtic language Cunedda was rendered as Cinneidigh (meaning ugly or grim-headed). The name gradually became especially associated with the district of Carrick in Ayrshire, Scotland. The word “cunning” could mean “coney” or rabbit. This theory is popular because the coat of arms of the Earls of Glencairn reflects two coneys as the supporters. It is interesting to note that in a Gaelic on-line dictionary, the word “coney” (or rabbit) translates as “coinean” and the name Cunningham translates as “coineagan.” Another translation is “milk pail” from the Gaelic word “cuineag.” This theory seems the least plausible. Despite these different translations, it seems safe to say that the district took its name from the original Cunedda family of Britons. In the twelfth century, Hugh de Moreville granted the manor of Cunninghame and most of the parish of Kilmaurs to his loyal warrior, Wernebald, progenitor of the Earls of Glencairn. The land which Wernebald received had been named Cunninghame for several centuries. Clan Cunningham was a Lowland Family, as opposed to a Highland Clan. Historically, few of the worldly Lowlanders communicated with the Highlanders whom they saw as savage, dangerous and ignorant. Like the ancient Romans, Lowlanders mostly ignored their heathen neighbors to the North. Even the Scottish kings found it difficult to control the Highlanders, so they looked to Lowland families like the Cunninghams and the Earls of Glencairn, for support. 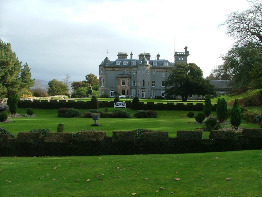 Finlaystone, the ancestral home of the Clan Cunningham, is located along the Clyde River in Renfrewshire, near Langbank. It came to the Cunninghams in 1399 when Sir William Cunningham, Lord of Kilmaurs, married Margaret, the daughter of Sir Robert Danielston of that Ilk, who presented his new son-in law with Finlaystone in Renfrewshire, Glencairn in Dumfriesshire, Danielston and Kilmarnock. William’s grandson, Alexander, became the first Earl of Glencairn in 1488. III. Robert de Cunynghame de Kilmaurs. He had three sons: 1. Robert; 2. William; 3. Sir James. Of the last two there is no descent now known. The eldest son, Robert, appears to have succeeded him. XII. Sir Robert Cuninghame of Kilmaurs. He married in 1425, Anne, the only daughter of Sir John de Montgomery of Ardrossan, by whom he had two sons. The second son, Archibald, was the first of the Cunninghames of Waterstoun, a family now extinct. 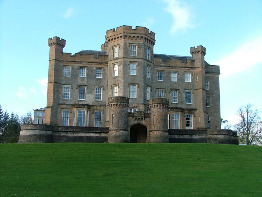 He was succeeded by his eldest son, Alexander Cunningham, the first Earl of Glencairn. Alexander became the Earl of Glencairn in 1488. Took his title from the family’s estate/property located in Dumfrieshire. His title prior to being granted the earldom was Lord Kilmaurs. Receiving his title for battle services at Blackness, Alexander was killed in the same year at the Battle of Sauchieburn. The title was restored to Cuthbert who created the Burgh of Barony of Kilmaurs in the year 1527. This was introduced in the form of a charter which granted 280 Scots acres to 40 “tennamenters”, each of whom would hold a fortieth part of the total area. The 4th Earl was active in the cause of the Reformation. At first, he was loyal to the Crown but when he witnessed the atrocities of the English, he joined the forces of the Reformation and played no small part in the cause. Like his father, he supported the Reformers and openly encouraged John Knox to return to Scotland. Known as the “good earl”, Alexander and Knox became firm friends. In fact, it is said that Knox gave his first communion under the yew tree which still stands at Finlaystone. While on the battlefield, Alexander was no slouch. He mustered and led 2,500 men to Perth to defend the cause and also opposed Mary Queen of Scots’ return to Scotland. He disavowed her marriage to Darnley and in the name of the Protestant forces, was in the forefront in the battles of Carberry Hill and Langside. He did not seek to emulate his father but concentrated his efforts in trying to cool the on-going and bloody feud between the Cunninghame and Montgomerie families. His father had some success in the setting up of a bond of friendship with the families of Cunninghames, Campbells, Montgomeries, Boyds, and Wallaces, which was in effect a form of arbitration to avoid and/or adjudicate on disputes between the families. James, however, did not support the work of his father. The Cunninghame-Montgomerie feud was renewed in the form of local skirmishes and the bloody battle was in full flood with the murder of Hugh, 4th Earl of Eglinton at Stewarton. Although denying all knowledge of the affair, James never quite shook off suspicion until he took legal action to counter the charges which were laid against him and others. These charges reached the Scottish Parliament, and while litigation dragged on, many of the Cunninghames and Montgomeries were killed or fled the country. In the end James was exonerated and agreed to friendly negotiations with the Montgomeries. It was James who commissioned the erection of a sculptured mural in that part of the Parish Church known as the Glencairn Aisle. William’s reign as the Earl was a short one. There is no clear indication as to when he assumed the title principally because (according to McNaught) there is a doubt regarding the exact date of his father’s death. A consistent supporter of Charles 1st, the 9th Earl was obliged to forfeit his title to the Scottish Parliament, but in time when he realized the possibility of Scotland being drawn into the feud between Charles and his Parliament in London, William’s support for the monarch quickly diminished. His title was restored and following the execution of Charles 1st, the 9th Earl fought with the Highland clans against General Monk when Cromwell invaded Scotland. Following a personal duel and skirmishes in the ranks he withdrew his forces/ thereafter engaging Monk’s columns at Dumbarton where overwhelming odds forced him to surrender on honorable terms. He returned home but was thrown into prison on suspicion of plotting/ but following the Restoration, Charles 2nd rewarded him with the appointment of Privy Councilor. A few years later he was elevated to Lord Chancellor but further political intrigues reduced his powers to almost nothing and he died a disillusioned man. His time as Earl was spent in comparative peace and quiet concentrating mainly on the salvaging of family property in respect of litigation stemming from the family feuds of former days. On his death his brother John succeeded to the title. While his brother, Alexander, had presented a profile of non-involvement, this was not the style of John. He was at first a Royalist and as a committed one he was appointed a Commissioner of the Crown. As such he was empowered to enforce laws which were abhorrent to the Covenanter’s cause. This role earned him the dislike of many in the West of Scotland, as the Covenanters considered that the legal requirements (which affected the Church and its ministers) as being tantamount to a return to the days before the reformation. However, in time, John’s enthusiasm for enforcement disappeared and he and other members of the wider family of Cunninghames became firm supporters and defenders of the cause. His 31 years as Earl were comparatively uneventful. 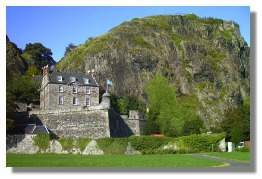 He was appointed Privy Councilors and served as the Governor of Dumbarton Castle, an appointment which had been previously held by his father. 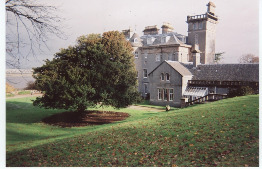 The Cunninghams by this time were, more or less, residents at their Finlaystone home in Renfrewshire. However, they still had business interests in the Kilmaurs area but William and his wife had much sorrow, as of their eight, sons, only one survived. 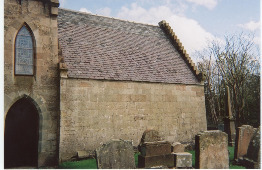 Like many of his forebears William was involved in the affairs of the Church and in this connection became embroiled in bitter wrangling in the Laigh Kirk in Kilmarnock. The root of the problem lay in the internal politics of the Church which occasioned Burns to write “The Ordination”. William’s presentation of a “New Light” minister displeased the congregation to the point of rioting. Some years later in an attempt to placate the “Auld Lichts” his new nominee merely upset the “New Lichts”. His marriage to Elizabeth Macquire was not approved of by the aristocracy. His wife was the daughter of a carpenter and traveling fiddler in Glasgow. The romantic story of this marriage is too lengthy to record here except to say that it was from this marriage that his son, James, succeeded to the title as the 14th Earl. To Burns enthusiasts, James is the best known of the Cunninghames. As a Representative Peer he had great influence in Edinburgh. On reading the first published work of Robert Burns he became an avid supporter and patron of the bard. 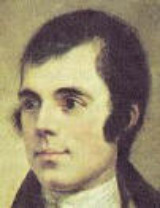 It was James who was responsible for the support given to Burns by the Caledonian Hunt who subscribed “one and all” towards the publication of the Edinburgh Edition of the poet’s work. James was not blessed with good health and on medical advice he went to Portugal and warmer climates. His journey back from his vacation was abruptly halted at Falmouth where his condition greatly deteriorated and he died there on 30th January, 1791. Burns was greatly affected by the news of his patron’s death and his great tribute to James; “Lament for James, Earl of Glencairn“, contains all the pathos and emotion of the poet. John was the brother of the 14th Earl and early in his career was an officer in the Dragoons. Later he took orders in the Church of England, much to the dismay of his friends in the Scottish Church. On his death he was buried in St. Cuthbert’s, Edinburgh and the title of Earl of Glencairn has remained vacant since 1796. Additional information on the Earls of Glencairn can be found in the “Scots Peerage”. In the 12th century many landowners assumed the name of their estates as a last name, as did Wernebald’s sons and grandsons. 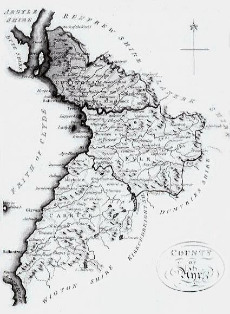 Eventually Cunningham became the name of the northern third of Ayrshire. Up until 1975, the County of Ayrshire had three districts: Cunninghame in the north, Kyle in the center and Carrick in the south. Seat of the Cunningham Earls of Glencairn 1399-1796. It is now home to Clan McMillan. Located just west of Glasgow on the River Clyde, Finlaystone is open to the public. Home to the Cuninghame’s of Caprington, one of the cadet lines of the clan. Site where Knox gave his first Protestant communion upon returning to Scotland. St. Maurs-Glencairn Church in Kilmaurs, Scotland. Located across the River Clyde from Finlaystone. The 12th Earl of Glencairn, William Cunningham, served as Governor of Dumbarton Castle. and a’ that thou has done for me”.